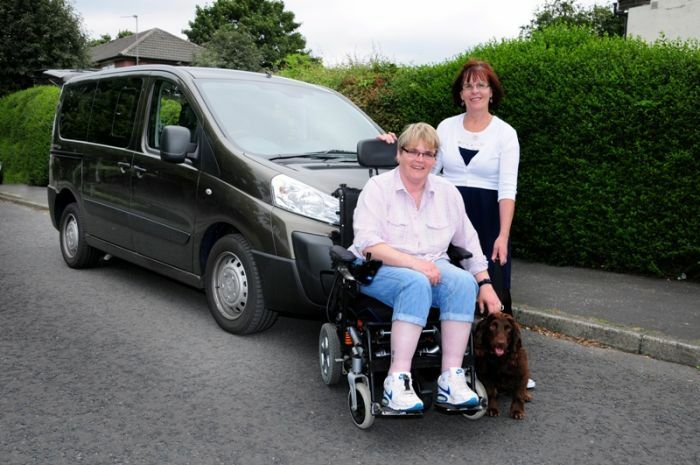 For Kay Elizabeth Lindsay from Rochdale, purchasing a wheelchair accessible vehicle from Allied Mobility is a decision she wishes she’d made years ago. Kay settled on the Peugeot Independence after a home demonstration from mobility advisor Richard. She realised Independence was a perfect match when she saw how much space there was inside; Independence offers bags of room for her wheelchair. Most importantly, the extra space also means that she isn’t isolated in the back of the car, something which matters a great deal to Kay. She said: “There’s nothing I don’t like about my Independence; I like to be involved in all the chat on journeys so it’s perfect for me that I can sit up next to people. I feel so relaxed when I’m travelling and can easily talk to my friends and carers. Being up high so I can see out of the windows is wonderful, I really enjoy my journeys now – we even take the car out just to go for a drive sometimes, that’s how much I love it! Peugeot Independence wheelchair cars are available to buy, rent or through the Motability Scheme. For more information on this vehicle or any of Allied Mobility’s range of wheelchair accessible cars and MPVs, simply call FREE on call 0800 916 3062, email info@alliedmobility.com or visit www.alliedmobility.com to enquire online. Be the first to comment on "New Level of Independence"